Where are the Rare Species in the Park? Surrounding regions of Minute Man National Historical Park have transformed from a semi-rural cultural area to established suburbs that face continual pressures from residential, commercial, and industrial development. This development not only impacts historic and cultural site preservation efforts, but also presence of rare species within the park. 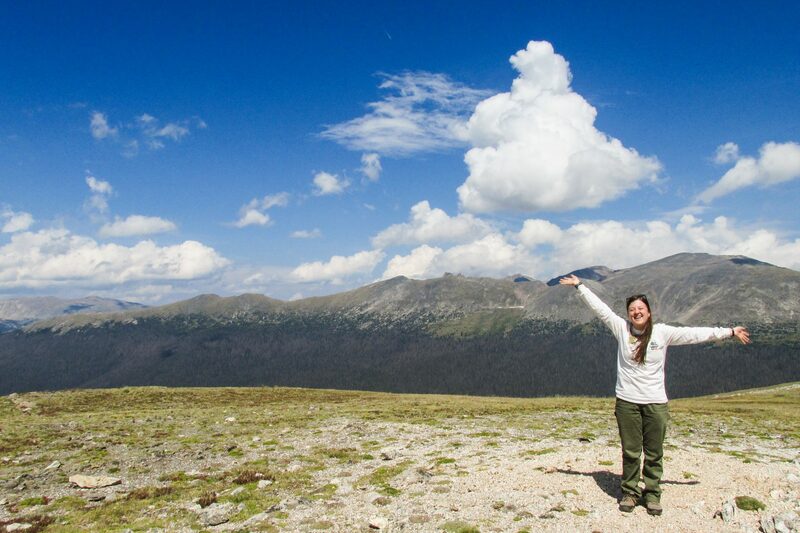 As a Biological and GIS Resource Assistant this summer, I contribute my environmental science and GIS knowledge to complete an inventory of state-listed threatened species within the park and to document those species using GPS, GIS, and Avenza map grids in collaboration with partnering agencies and stewardship volunteers. The two species of focus are the Britton’s Violet and Blanding’s turtle. 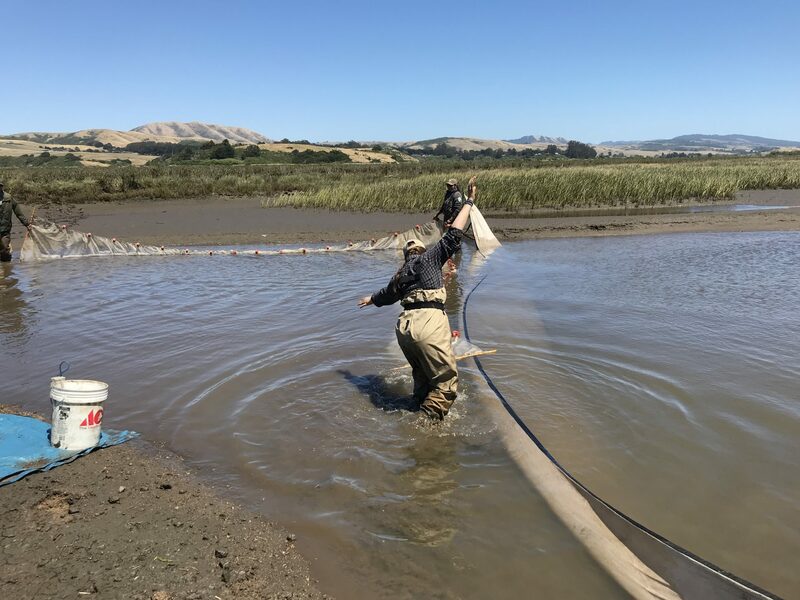 At the beginning stages of my internship tenure, I have gained exposure to species identification and meetings and field work with field experts. In addition, I have facilitated and participated in many park maintenance activities as a member of the Summer Stewardship Program. 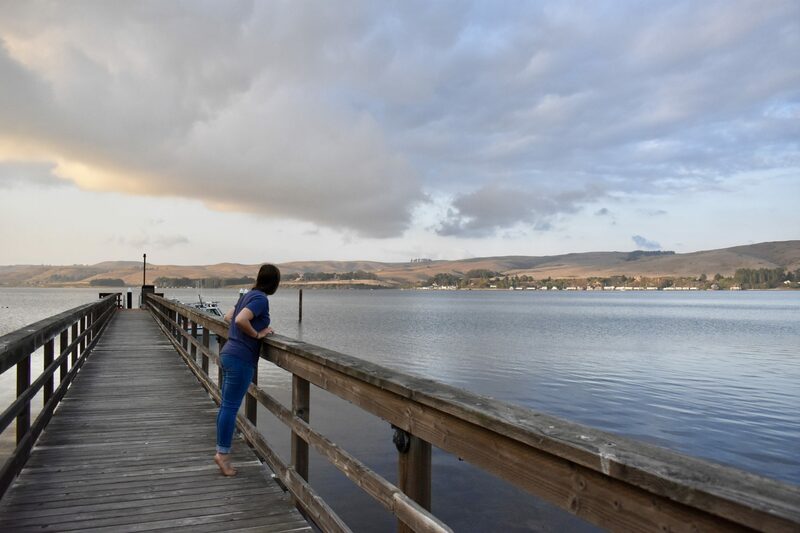 Being a team member has allowed me to learn more about main features within the park and to grow personally and professionally by working alongside the stewardship team members. Almost ready to release the Blanding’s turtle! 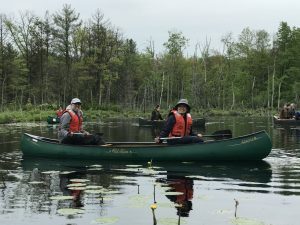 On a rainy Tuesday morning, May 22rd, I, along with the stewardship team, participated in the event of releasing Blanding’s turtles into the nearby Assabet River National Wildlife Refuge in Sudbury. This event was partnered with U.S. Fish and Wildlife Service (USFWS), University of Georgia’s Savannah River Ecology Laboratory, and Oxbow Associates, Inc. After nine months of care, students of Bristol County Agricultural High School released 106 Blanding’s turtles into optimal shallow portions of a pond using canoes. 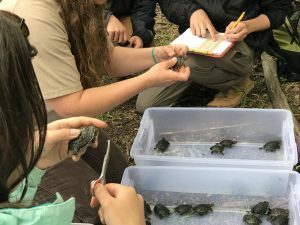 Before release, these turtles were notched with unique identification numbers for future evaluations of survival success. In this event, I learned about the life cycle of the Blanding’s turtle and how to identify this species from ecology experts. I even had the opportunity to canoe my way to a suitable release location and release a turtle of my own. In the future weeks to come, I look forward to collaborating with species experts and volunteers, engaging in field work, applying GIS expertise, and preparing recommendations to ultimately compose and present my species report for upcoming presentations. 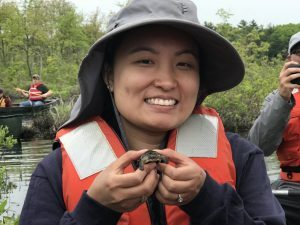 Blanding’s turtle raised by students of Bristol County Agricultural High School for nine months. 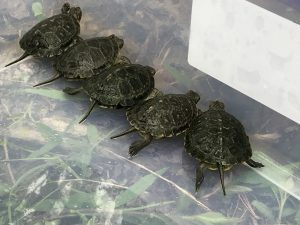 Turtles notched with unique identification numbers for future evaluations of survival success. Canoeing to optimal shallow portions of the pond for turtle release. Jeanie has a M.S. in Geographic Information Science for Development and Environment (GISDE) from Clark University in Worcester, MA and a B.S. in Environmental Science from University of Maryland, Baltimore County (UMBC). 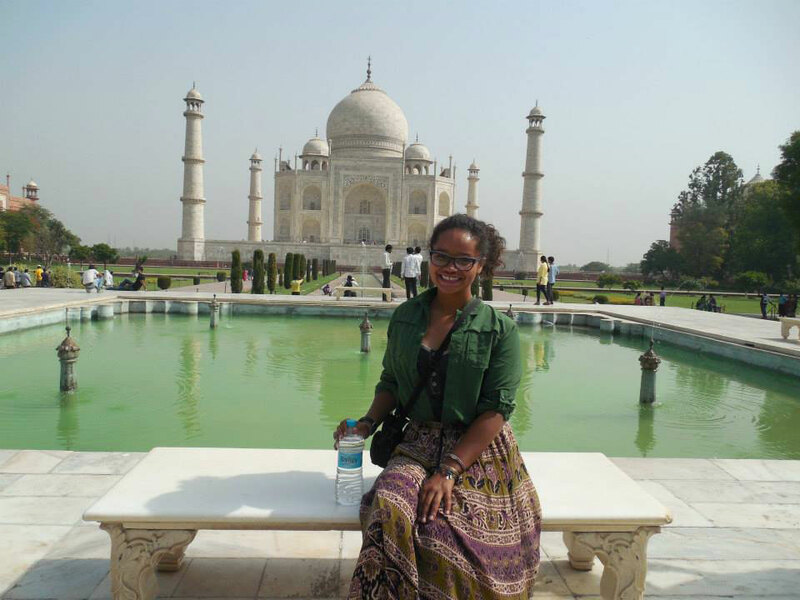 She is a Baltimore City native interested in a career devoted to meaningful work serving the public and supporting natural resource conservation and cultural site preservation. In her free time, she likes to read, hike, swim, travel, and look at maps. those little Blanding’s turtle are so cute!!! I’m a former MIS inter, and last year I worked with Texas tortoises. We work on a radio tracking project to understand better their behaviors, using microGPS and radio tagging to look at movement pattern. I always liked tortoise but after the internship I love them even more. Good luck on the internship.